These are lyrics by Dean Martin that we think are kind of nonsensical. Dean Martin's, "In The Chapel In The Moonlight"
Rust is iron oxide, hence formed only from iron and oxygen, the latter coming generally from the atmosphere. So only the iron parts of an organ could turn to rust. Since an organ is not made mainly of iron, the image makes little sense. Moonlight turning to dust is an even more far-fetched proposition. All light, including Moonlight, is energy in the form of electromagnetic radiation. While matter (including dust) and energy are interconvertable, moonlight turning to dust would not occur under any ordinarily existing conditions here on Earth. For electromagnetic radiation to turn into the sub-atomic particles that can make up stable matter as we know it requires much more energetic radiation than visible light, such as gamma rays. Even then a photon of gamma radiation would turn into a particle and it's antiparticle, such as a proton and an anti-proton. Unless those two are quickly separated and the anti-particle quickly transported to a distant part of the universe, devoid of 'ordinary' matter as we know it, the two particles are very unstable together and tend quickly to recombine into a gamma photon again. So in the ordinarily earthly setting we know, electromagnetic magnetic radiation, and esepecially visible light including Moonlight, won't be turning into a discernable amount of dust. 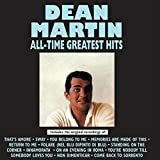 Dean Martin's, "The Door Is Still Open To My Heart"
Seems like you are changing your mind, Dino.